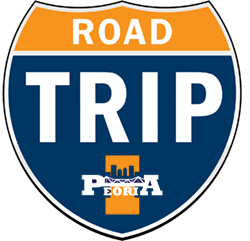 Join PAIC for its second annual road trip to Champaign on Sunday, Feb. 18th! We will be chartering a deluxe Peoria Charter bus to take from the Peoria area to Champaign and watch our Fighting Illini take on Nebraska. Join other Illini fans from the Peoria area and enjoy premium seating and amenities in the Legacy Club at the State Farm Center (a $170 value). We will meet at the Walmart in Morton and board our Peoria Charter bus. Our bus will then depart for Champaign, where we will grab lunch and do some bar hopping on Green Street with the St. Louis Illini Club before the game at 2:30 p.m. It should be an awesome time! We hope you will join us! For complete details, download the event flyer.